Vehicular hijackings are occurring in the 16th District. The offenders have been armed with handguns. They demand victim’s car at gunpoint after displaying a firearm. This alert gives notice to the residents of the 16th District. (Jefferson Park), 17th District. (Albany Park), 20th District (Lincoln), 24th District (Rogers Park) of numerous thefts from autos (Jeep Grand Cherokees) that have occurred. In these incidents, the victims parked their vehicles near their homes and when they returned to their vehicles, they discover that their car battery had been stolen. 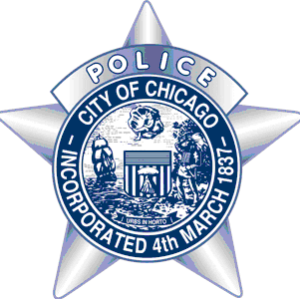 This alert gives notice to the residents of the 16th District (Jefferson Park) of residential burglaries incidents that have taken place on Beat 1621, within the boundaries of Cicero to Central and Devon to Elston. There have been two incidents that have occurred since February 13, 2019. In these incidents, an unknown offender(s) gained entry by forcibly kicking or prying open the front door(s). The offender(s) then took an unknown amount of US Currency. This alert gives notice to the residents of the 16th District (Jefferson Park) of several residential and apartment burglaries that occurred in the months of January and February. In these incidents, an unknown offender(s) entered the apartments and residences, through front or rear doors, and took property from within. This alert gives notice to the residents of the 16th District (Jefferson Park) of several Motor Vehicle Thefts that have occurred on Beat 1634, within the boundaries of Cicero to Long and Belmont to Irving Park. In these incidents, an unknown offender(s) stole vehicles by unknown means which were legally parked on the street. In some incidents, the owners left the cars running to warm up. 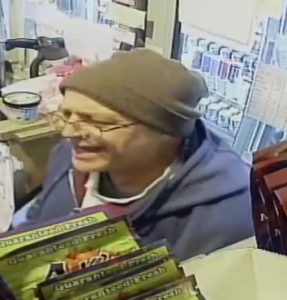 Area North Detectives are seeking to identify the below pictured subject in relation to a Robbery Incident. This incident occurred in the 4400 block of North Central Ave. on January 18, 2019 at approximately 1:00 a.m.